Josie Saldaña earned her Ph.D. in Modern Thought and Literature from Stanford University and her B.A. in English Literature from Yale University. 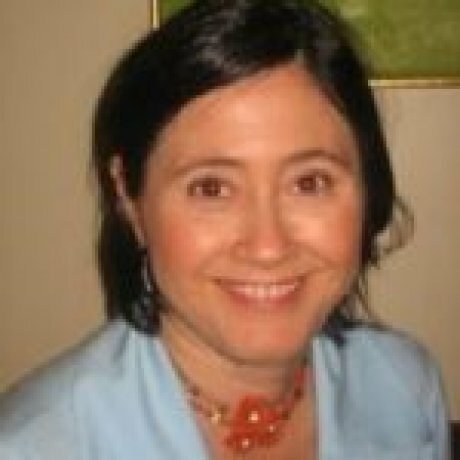 Saldaña is Associate Professor of Social and Cultural Analysis and Director of Undergraduate Studies at New York University. Her research interests include: Latina/o cultural studies; development and globalization studies; comparative race in the Americas; 20th century revolutionary thought and literature of the Americas. Her most recent book, Indian Given, was published by Duke University Press in 2016. External Affiliations include Latin American Studies Association, American Studies Association, Native American and Indigenous Studies Association; Tepoztlán Institute for Transnational History of the Americans (Director, 2014-2015). Fellowships and honors include: U.S. Fulbright-García Robles Research Fellowship, All Disciplines Mexico City (2010-2011); The Hispanic History of Texas Project, Recovering the U.S. Hispanic Literary Heritage Project Research Grant (2011). Saldaña has also received various grants and awards over the course of her career from the Ford Foundation, the Mellon Foundation, the National Endowment for the Humanities, and the University of California. Indian Given: Racial Geographies across Mexico and the U.S. Durham, NC: Duke University Press, 2016. Des/posesión: Género, territorio y luchas por la autodeterminación. Co-Edited with Marisa Belausteguigoitia Rius. México, D.F. : PUEG-UNAM, 2014. “Indigenous but not Indian? Chicana/os and the Politics of Indigeneity.” With Maria Cotera. In The World of Indigenous North American. Ed. Robert Warrio. New York: Routledge Press, 2014. “La plaza como practica citacional.” Debate Feminista. Vol. 46 (2012): 13-28. “‘No Country for Old Mexicans’: The Collision of Empires on the Texas Frontier.” Interventions: International Journal of Postcolonial Studies 13.1 (2011): 67-84. The Revolutionary Imagination in the Americas and the Age of Development. Durham, NC: Duke University Press, 2003. “In the Shadow of NAFTA: Y tu mamá también Revisits the National Allegory of Mexican Sovereignty.” American Quarterly 57.3: 751-778. “‘Wavering on the Horizon of Social Being’: The Treaty of Guadalupe-Hidalgo and Its Racial Character in Ámerico Paredes’s George Washington Gómez.” Radical History Review 89 (Winter): 135-161. “On the Road With Che Guevara and Jack Kerouac: Melancholia and Colonial Geographies of Race in the Americas.” New Formations 47 (Summer): 87-108.